The town of Minchinhampton is located 1.5 miles north-east of Nailsworth in Gloucestershire Cotswolds high above the 'Golden valleys' once properous for the production of cloth. Minchinhampton is an especially attractive little Cotswold town, centred on its high street and market square. The area has three golf courses, also gliding, horse riding, water sports, cycling, walking and many other activities. There is plenty of interesting sight-seeing around the historic towns and villages for which the Cotswolds are famous. 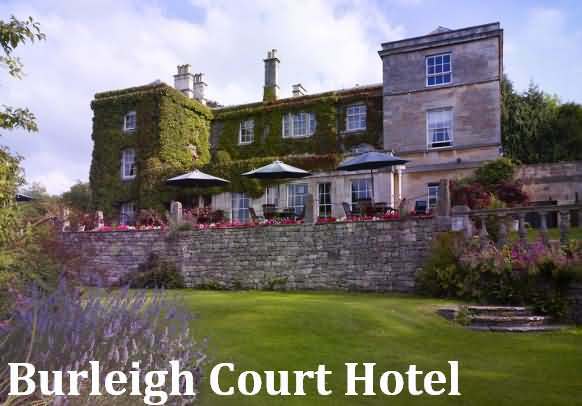 Set on the edge of a steep hillside overlooking the Golden Valley, Burleigh Court Hotel is a 18th-century Cotswold-stone manor house located in the heart of Royal Gloucestershire. The hotel boasts a large garden, as well as an on-site restaurant and a bar. Located 2 miles from Minchinhampton. France Lynch is a charming village, next to Chalford Hill, which is situated in an elevated position, above the A419 from Stroud to Cirencester (or vice versa!) There are 3 pubs in the vicinity offering evening meals, and a cornucopia of gastro pubs in the area, details of which we can supply on request. Our accommodation now boasts a brand new King-size/Twin en-suite room, and one Double with private bathroom. This bathroom has now been upgraded: it has a contemporary walk-in shower and wood flooring. Both rooms have comfortable chairs, flat screen TV, DVD players, hair dryers and hospitality trays. The en-suite room also has a fridge. Prices are from £75 per room per night breakfast complimentary. Single occupancy of double rooms from £49 per night breakfast as above. Two nights minimum at weekends or in season preferred. If ever a one night booking is taken, a supplement will apply. 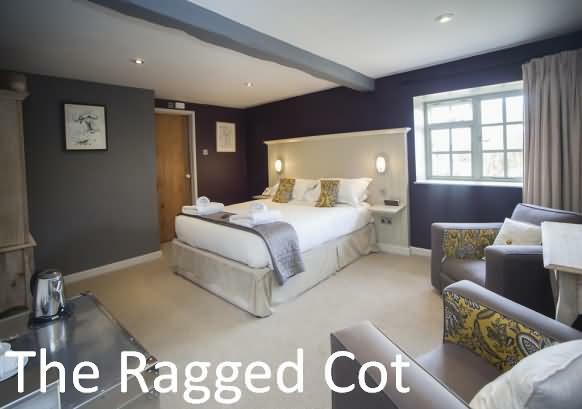 Situated in Minchinhampton, 24.2 miles from Bath, The Ragged Cot boasts a restaurant, bar and free WiFi throughout the property. The inn has a terrace and views of the garden, and guests can enjoy a meal at the restaurant. Free private parking is available on site. Every room has a flat-screen TV. You will find a kettle in the room. Every room is fitted with a private bathroom equipped with a shower. For your comfort, you will find bathrobes, free toiletries and a hairdryer. Guests can enjoy various activities in the surroundings, including horse riding and cycling. Bristol is 25.5 miles from The Ragged Cot, while Cheltenham is 13.7 miles away. The nearest airport is Bristol Airport, 32.3 miles from the property. 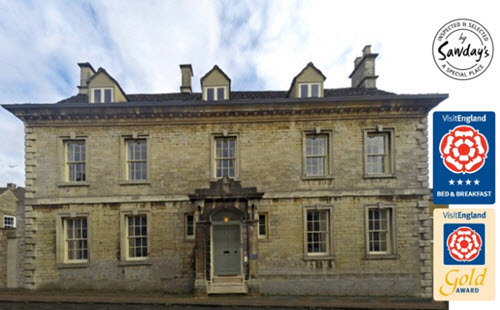 This property also has one of the best-rated locations in Minchinhampton! Guests are happier about it compared to other properties in the area. Couples particularly like the location - they rated it 8.6 for a two-person trip. This property is also rated for the best value in Minchinhampton! Guests are getting more for their money when compared to other properties in this city.